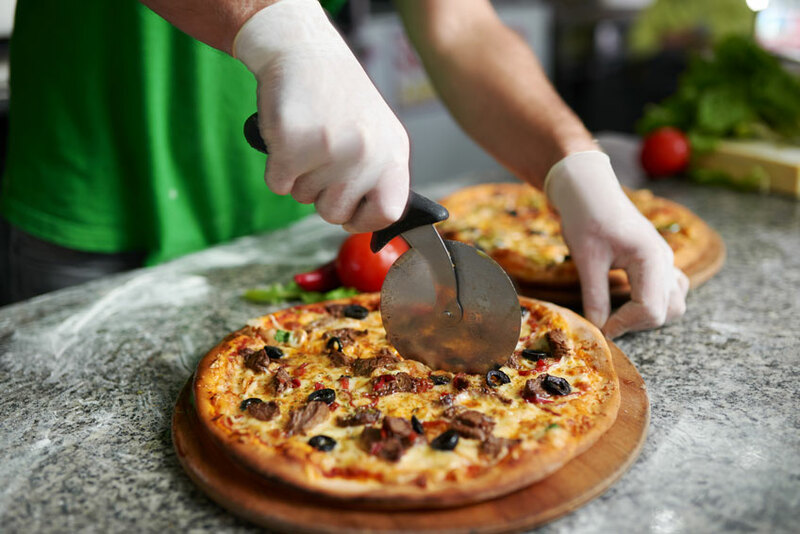 Stepping up to handling foods with strong odors, possible irritants like those in jalapeno peppers, or heavier bacterial exposure such as in meats, food safe polyvinyl chloride (PVC) gloves are an excellent option. 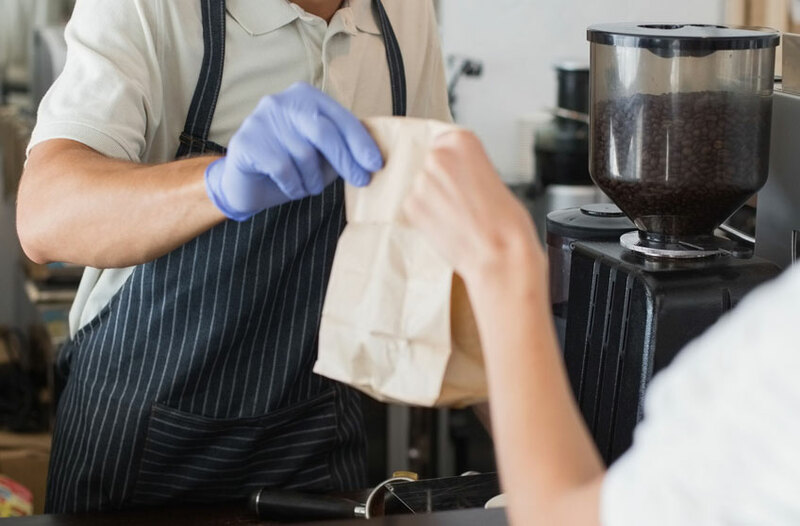 Tronex New Age® Vinyl Disposable Gloves offer excellent barrier protection and contain no natural rubber latex proteins, so both food handlers and customers who may be allergic or sensitive to latex are protected. Highly adaptable gloves for cooking and multiple levels of prep, these are notable for the way they conform to the hands, allow impressive touch sensitivity, and help reduce hand fatigue. When transitioning from prep to cooking, high temperatures and handling of sauces, oils, raw meat, and highly acidic foods can put hands in harm’s way. Tronex Black Nitrile Gloves are form-fitting, highly durable, and resistant to abrasions. Their black color offers the advantage of ready visibility when in use among varied foods and their extra strength makes them a better choice when cooking on a BBQ or stovetop. 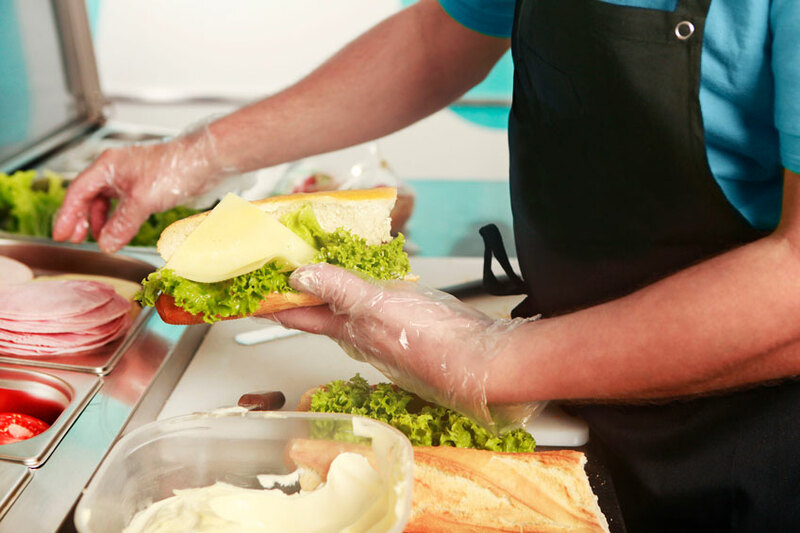 Kitchen and work area cleanliness is just as vital to cross-contamination control as using gloves for food handling. Tronex offers a Multipurpose Flock-Lined Latex Glove that is both food-safe and heavy-duty to handle dishwashing, worktop and appliance cleanup, mopping, and much more. 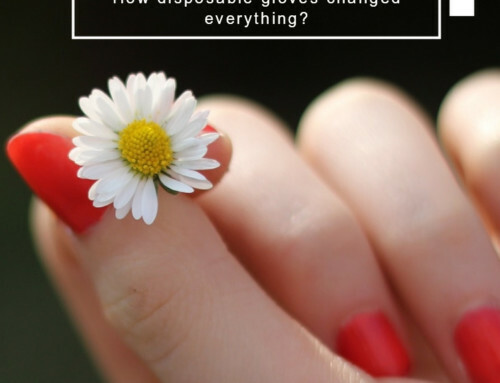 To learn more about the food-safe gloves recommended here, or about the many disposable safety products offered for direct purchase from NorthStarlight.com, please click here or contact us with your questions.